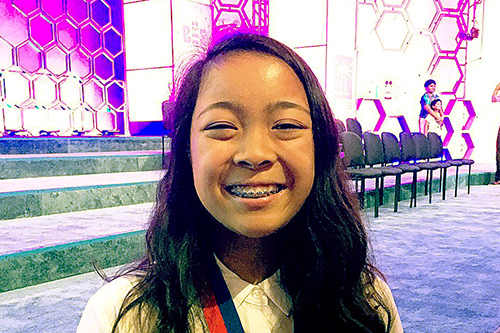 Stanford Middle School seventh grader Dina Miranda progressed to the seventh round of the third and final day of the Scripps National Spelling Bee last week. Miranda advanced to compete among the top 19 contestants. The contest began with 516 spellers taking a written test, and by the final day the competition had been narrowed to 321. The word that finally stumped Dina was “orans,” a Medieval Latin, plural form of orant, a figure in a posture of prayer, usually standing upright with raised arms. On the other hand, she spelled these words correctly earlier in the competition: nephelognosy, laparotomy, polymorphous and piedmont. 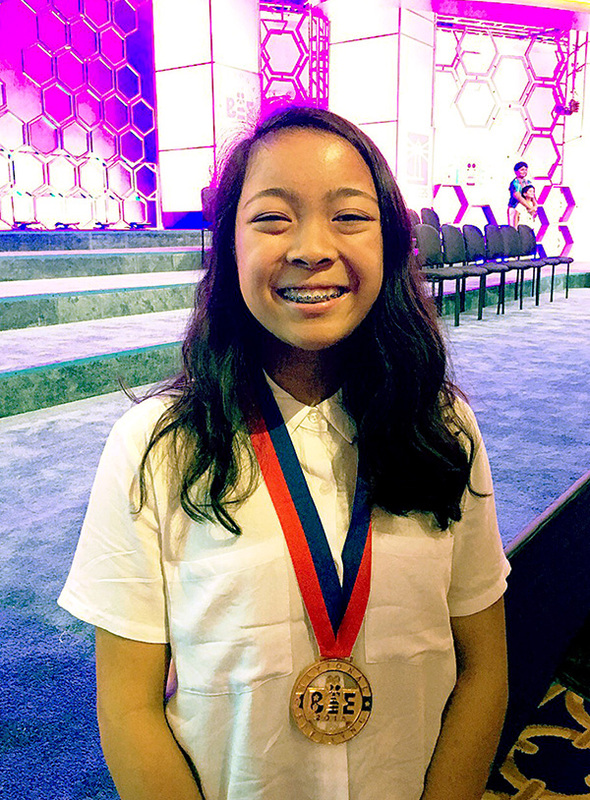 Earlier this year, Miranda became the first student from the Long Beach Unified School District to win the countywide spelling competition, qualifying her for the national contest. In 2016, when Miranda was a fifth grader at Gant Elementary School, she won second place in the county competition. Miranda also earned People Magazine's praise for leading the pack of national competitors when it came to Twitter shout-outs.